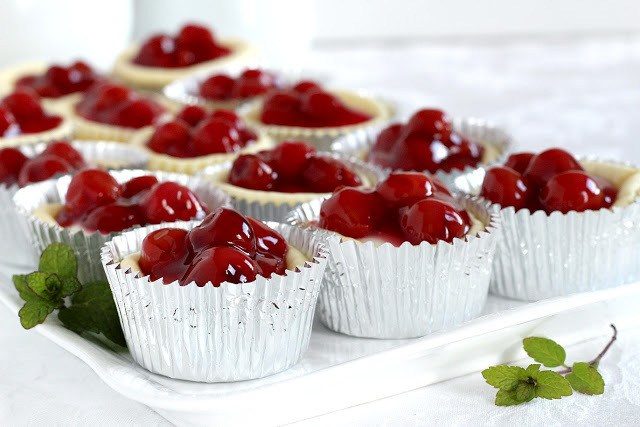 These yummy little cupcakes are always a favorite dessert. When my cousin Karen entertains, her dining room table is covered with tempting dessert options and I never pass on one of her cherry cheese cupcakes. They taste as good as they look. Blueberry topping is delicious too, although I can’t resist those bright red cherries! Karen let me copy her recipe so I could share it here. No slicing because each cupcake is served in its own little wrapper. 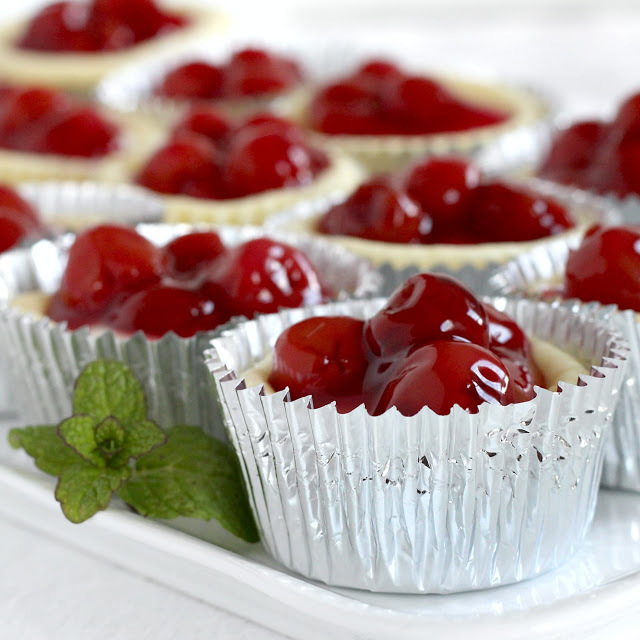 Light and fluffy, they are like perfect little packages of deliciousness. When I am being good I eat just one. It’s hard to be good. 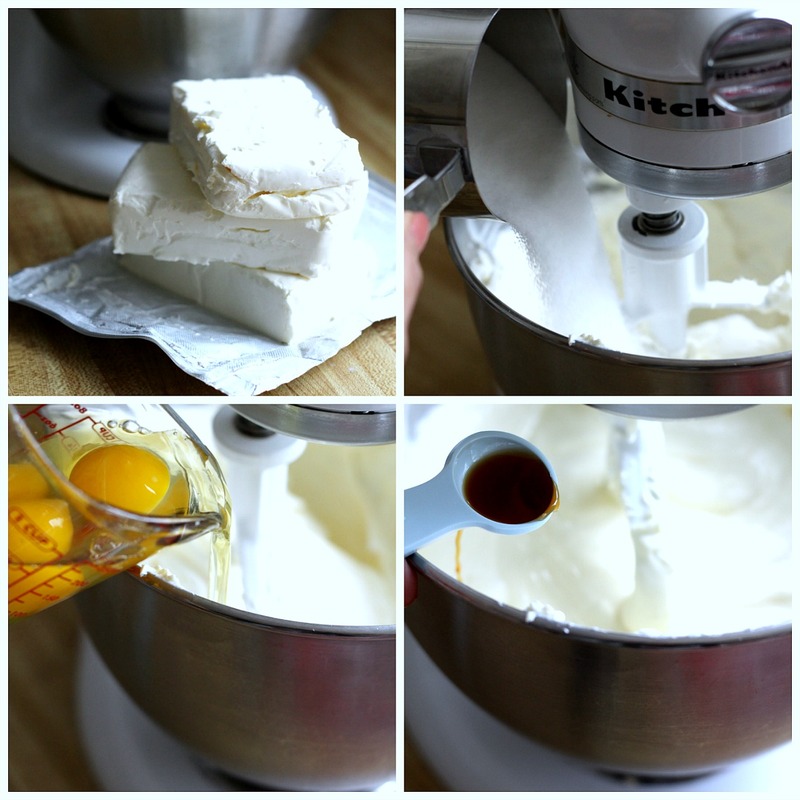 In stand mixer, cream together the cream cheese and sugar. Add eggs, one at a time and beat until creamy. Add the vanilla. 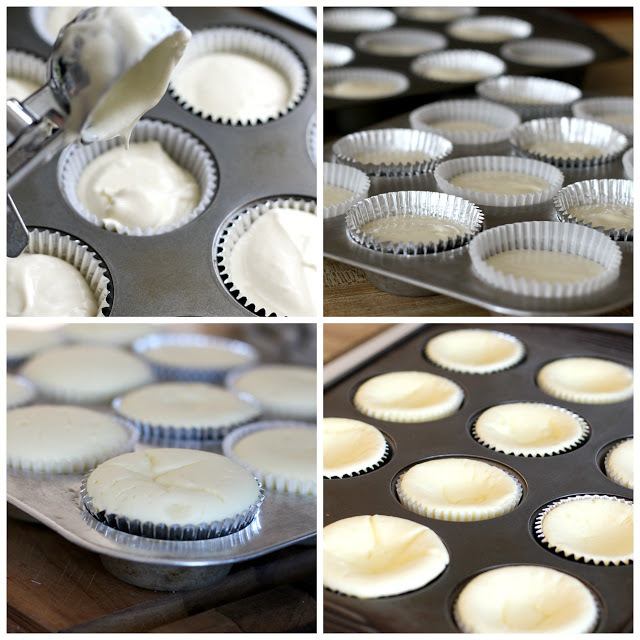 Line muffin tins with cupcake liners. Pour batter into liners (2/3 full). Using an ice-cream scoop filled about 3/4 full works well. Bake 35-40 mins. Cupcakes should not brown. Take out of the oven and cool 5 minutes. Combine the topping ingredients. Spoon topping on and return to oven for five minutes. Take out of oven and cool completely. 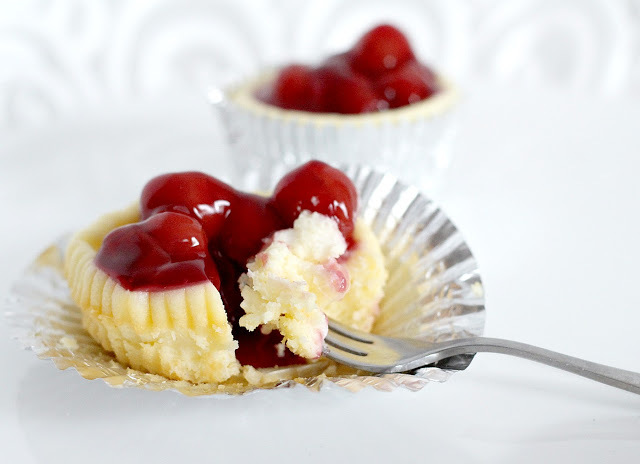 Put can cherries (pie filling) on top. Cover and refrigerate leftovers. 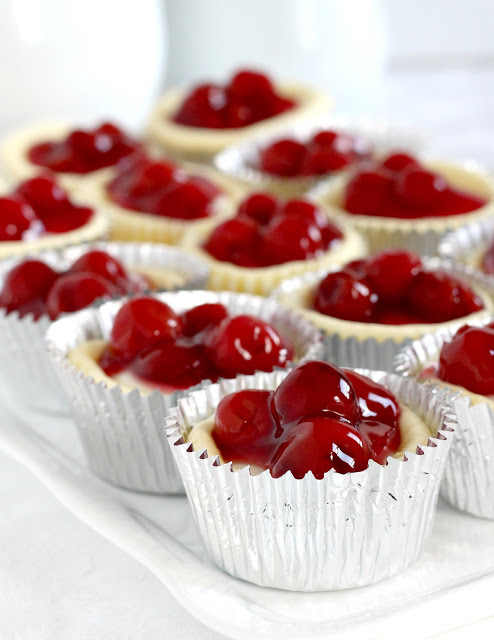 Oh wow, these look super delicious and surprisingly easy too! I need to make them sometime. Thanks for giving me a good idea for maybe Easter! I've missed seeing what you have making but until this weekend haven't had time to write. Good to visit here again! These look delicious. I think I will make them but use your suggestion of using blueberries (because I LOVE anything with blueberries). Thanks for dropping by my blog and leaving a comment. I love your blog and your positive spiritual messages. These look good….but how did it fly into my downloads without my permission….i must have accidentally clicked something? I remember the first time I tasted these. My sister in law made them for a holiday family dinner and my dad and I fell in love with them! 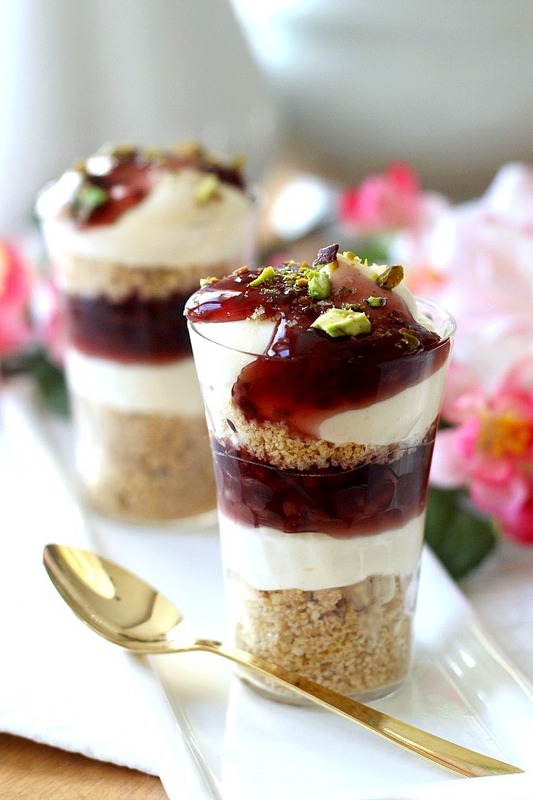 I remember these mini cheese cake cups! Loved them! Made them with blueberry topping too. Thanks for a sweet memory. Cheesecake and cherries. So pretty and so yummy! My mother used to make these when I was a kid. I haven't made them in years. They look delicious.